Richard E. Thurston retired as Assistant Director of Publications at Southern Music Company on September 1, 1993. Prior to his work with Southern, Thurston lived in Oklahoma City, where he served as Dean of the School of Music and Performing Arts at Oklahoma City University and as conductor of community orchestras and a community concert band. Before joining the faculty of Oklahoma City University, Thurston was Director of Bands, Adjunct Professor of Music and Associate Dean of the School of Music at Yale University. A native of Oklahoma, Thurston attended the University of Michigan, where he earned bachelor’s and master’s degrees in music theory and served as assistant conductor of the University Symphony Orchestra and the Plymouth (Michigan) Symphony Orchestra. He then entered the U.S. Air Force and served five years as a navigator on transport aircraft before joining the Air Force band program. As a band officer he commanded and conducted bands in Washington DC, Texas, Hawaii and Virginia. 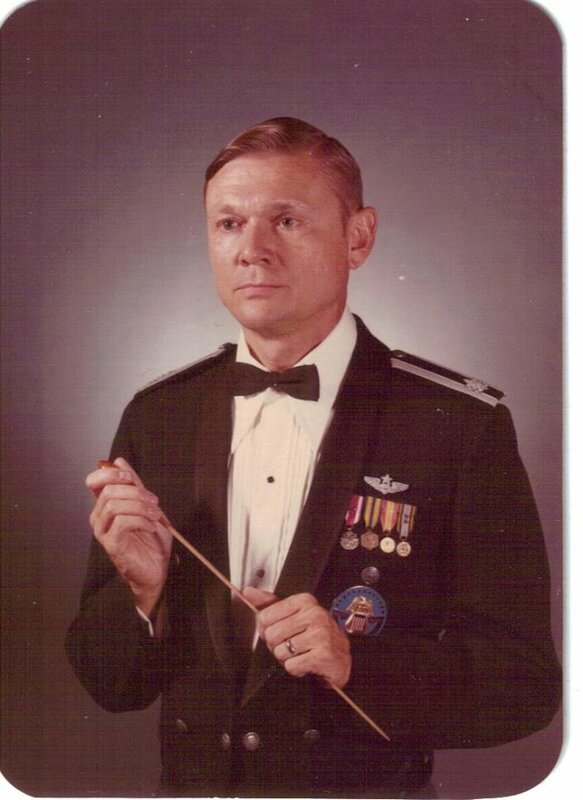 From 1969, to 1975, he was commander and conductor of the U.S. Air Force Academy Band in Colorado Springs; during this period he was elected to membership in the prestigious American Bandmasters Association, which he has served as treasurer. The climax of his military career came in 1975, when he assumed command of the U.S. Armed Forces Bicentennial Band and Chorus, a 130-member joint service organization; in this post he conducted concerts in 45 states, Canada, Mexico, Puerto Rico and the U.S. Virgin Islands. In earlier tours he appeared as conductor in Australia, New Zealand and the Azores. In 1980, he retired as a lieutenant colonel after a final tour of duty as Chief of Bands and Music, U.S. Air Force. While on active duty, Thurston earned the Ph. D. degree in musicology from The University of Texas at Austin. Throughout his career he has maintained an active schedule as guest conductor, clinician and adjudicator, and is also noted as an arranger of music for band, orchestra, and various solos and ensembles, with more than fifty publications to his credit.